I thought it died when it got ported to mobile. Letting all the kiddies flood in. Minecraft PE is like Internet explorer. Microsoft only kept it around so people could use it to get to other platforms. Also The Bedrock edition is a double edged sword. It is easily the most optimized version of Minecraft, and the most easily accessible. But it lacks mods and features of the Java original. More importantly this forgeter has micro transactions, and despite this version being cross platform the stuff you buy on the store is not multiplatform. No matter what version you use, the latest update is forgeted and has been for a long time. Biomes generate like they're Congress, you get an ultimatum of 4 choices with 2 being the most common. I swear islands/ocean and swamp most be Microsoft's favorite areas to go to, it's quite fitting honestly. The only thing that makes Java better than any other version, besides the micro transactions, is that you can go back to any version of minecraft you want to. Damn shame that finding Minecraft_Server.Jar files for those older versions is like searching for a Nintendo Switch Gamecube Controller adapter. And trying to find Spigot/CraftBukkit for an update older than 2 years might as well be an expedition to find Atlantis. I do love me some Blockalnd! 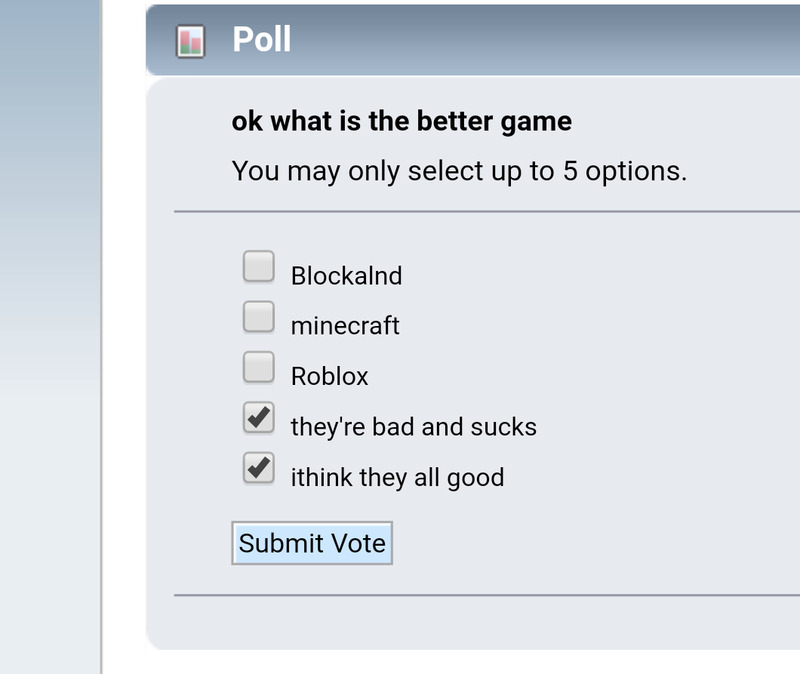 It's pretty obvious that Blockland gets the high vote since it's posted on the BLOCKLAND FORUM. are Blockland fans or players. i cant vote for a game made in java, what was notch thinking?